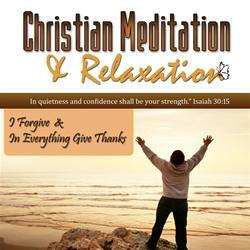 CD includes the two meditations, I FORGIVE and IN EVERYTHING GIVE THANKS. Each meditation begins with a progressive relaxation, followed by a Biblical narrative and relaxing background music. Frequently, God uses various challenges and difficulties to mold our character into his likeness. Instead of looking at these challenges as problems to be dreaded, we can use them as an opportunity to deepen your faith and create a greater dependency on the Lord. Ask yourself these questions- What would happen if I stopped struggling and resisting what is and I saw every obstacle as a hidden blessing? What if instead of trying to change or avoid unfavorable circumstances, I blessed them in an effort to bring forth the good that is in them instead? Your life would be filled with more peace, joy, and contentment.